After providing carpet cleaning services in the Greater Salt Lake City area for going on 6 years now, we’re not exactly new, but we are definitely a different kind of carpet cleaning company. We started Green Solutions Carpet Cleaning in 2011 by introducing “The New Way To Clean Carpet” to home owners and business in Salt Lake City and the surrounding area. Our specialty is eco-friendly, low-moisture, “green” deep extraction carpet cleaning. What this means is no wet carpets, no harsh chemicals and Carpet Cleaning You’ll Love…. Guaranteed! In a national survey that polled thousands of consumers about their biggest concerns about commercial carpet cleaning, the overwhelming #1 complaint was that their carpet was left too wet and took too long to dry. The #2 complaint was that more often that not, stains came back after the carpet eventually dried. We believe it does and that’s the reason we wanted to be the first in Amarillo to introduce the new, modern way to clean carpets. The carpet cleaning industry has changed a lot over the last 40 years – but the average carpet cleaning service hasn’t! With modern low moisture carpet cleaning systems (like we use), your carpets will be totally dry in an hour or less. Stains will not wick back up, carpets will repel dirt instead of attracting it, and your carpets will stay cleaner much longer. We think you’ll love it. In fact, we guarantee it! Can more than 2,000 customers in the Salt Lake City area that love our service and the New Way To Clean Carpets possibly be wrong? We don’t think so! Green Solutions Carpet Cleaning is a locally owned family business managed and operated by Wade Martin. We offer a 100% Guarantee on every job we perform and we have never had a single complaint with the Amarillo Better Business Bureau. 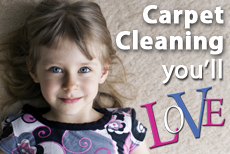 We know you’ll be amazed with our “Dry Organic” , “Low Moisture” carpet cleaning as well as our other services. For questions or to schedule an appointment, you can call us Monday thru Friday from 8am to 8pm.